Technology & Internet are actually a catalyst for growth; not only it enables opening up of new avenues for growth but it also empowers traditional business models to flourish and develop. India’s unrelenting e-commerce boom has thrown a lifeline for a struggling government unit: Indian Post. Indian Post, the world’s largest snail-mail network, is raking in big money from deliveries of the country’s biggest e-commerce players, with cash-on-delivery consignments of companies like Amazon, Flipkart, Snapdeal and Myntra contributing a whopping Rs 1,000 crore during the first 9 months of this current fiscal year. And going by the trends, the overall revenue growth may be the highest for Indian Post by the time March, 2016 ends. The deliveries are primarily directed at tier-II towns, and parts of the rural heartland, where Indian Post has unparalleled reach. The incremental e-commerce revenue boost, said Minister for Communications and Information Technology, Ravi Shankar Prasad, are at the heart of his plans to revive the fortunes of India’s postal service. In terms of companies, Amazon’s deliveries touched 3 lakh consignments until December 2015, up from an average of 50,000 in 2014-15. Average numbers of consignments from Snapdeal too reached 80,000 until December 2015, as against 35,000 in 2014-15. 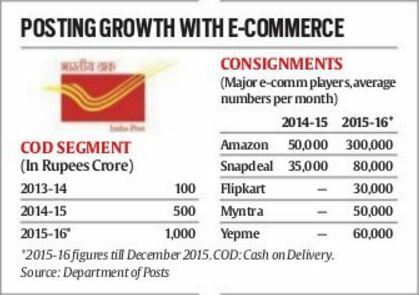 Flipkart-Myntra has also clocked average consignment numbers of about 80,000 so far this year. “A total of 62 players had approached Indian Post for partnership for banking products. The new facet is Cash-on-delivery (COD). 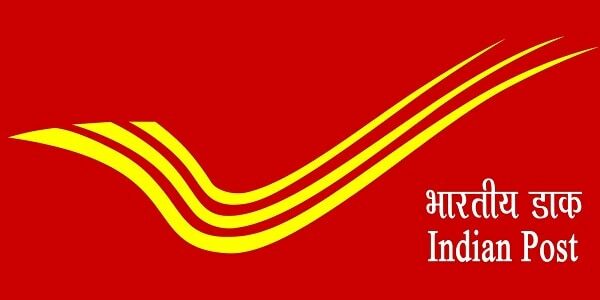 Indian Post has become the premium courier service for e-commerce, so that is a definite improvement” said, union minister for communication and information technology Ravi Shankar Prasad. He said revenue from COD would reach Rs.1, 500 crore by March 2016. Gone may be the days when Dakiya Dak Laaya was a hit but in today’s India it’s just changed into Daakiya iphone Laaya!